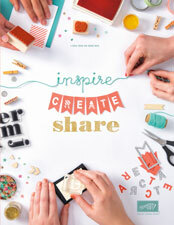 I am actually excited to share this card with you today! I am sooo happy with how it turned out! 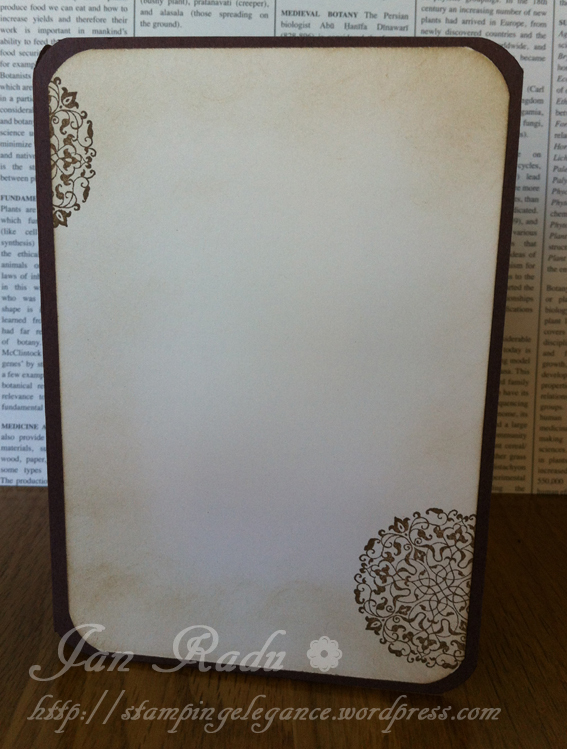 On a base of Chocolate Chip Cardstock, I’ve used vanilla textured cardstock and my Soft Suede ink to create this vintage “tea-stained” look. 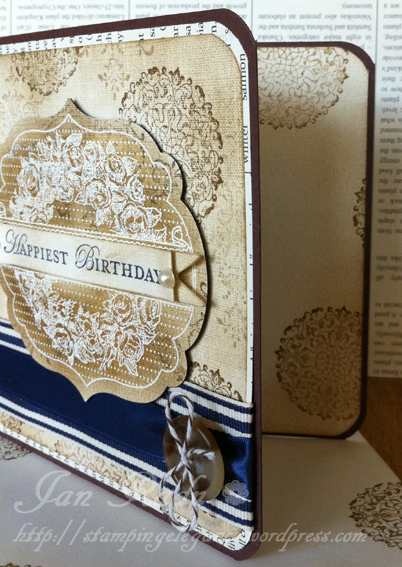 The textured cardstock is key here! 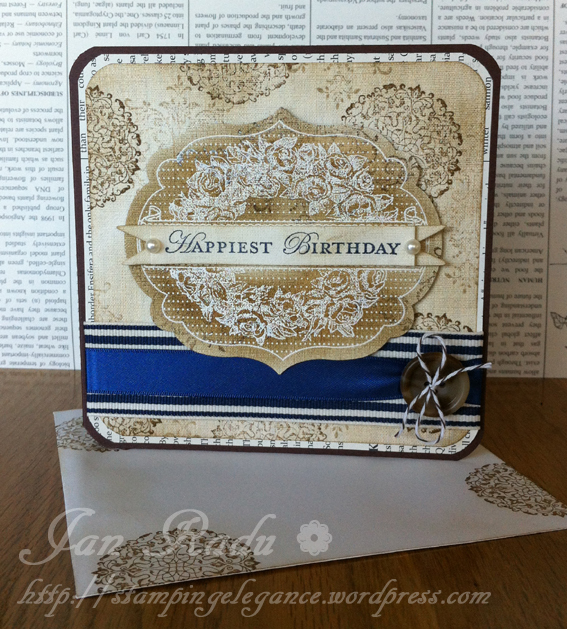 I’ve stamped the background using a large stamp from the Bliss SAB set (retired) and the round medallion stamp from Artistic Etchings in Soft Suede. 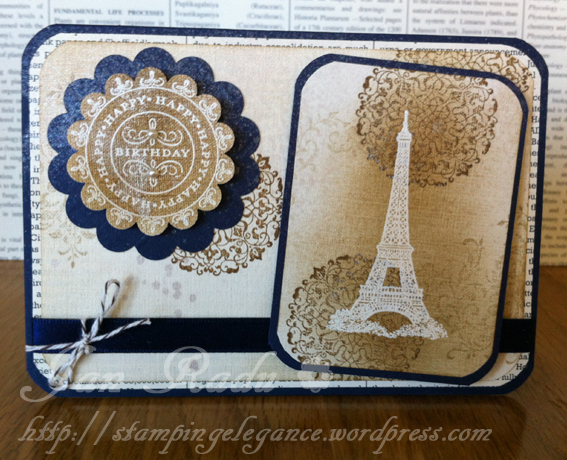 Then I’ve inked using my stampin’ sponge and soft suede ink in a circular motion from the edges inwards. After stamping the same pattern on a separate piece of vanilla textured CS, but BEFORE inking, I’ve embossed over the top in white using my Apothecary Art stampset and THEN inked in the same way as before creating an emboss-resist effect – and cut it out using the matching framelit. 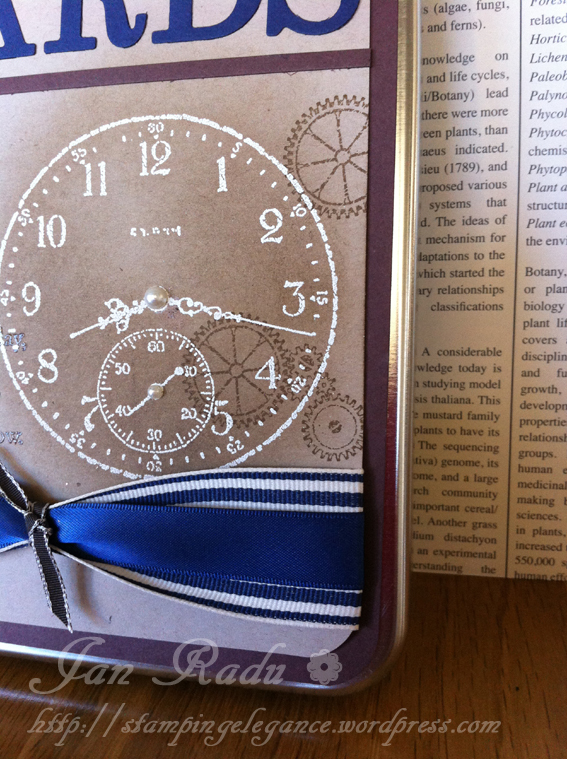 My ribbon is Night of Navy, as is the Happiest Birthday sentiment. My button is vintage from my stash and I’ve threaded it with Early Espresso Baker’s Twine. 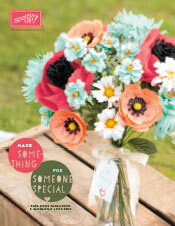 My ever-present Newsprint DSP is in there too! Ooh I could look at this all day! LOL Don’t you just love emboss resist? 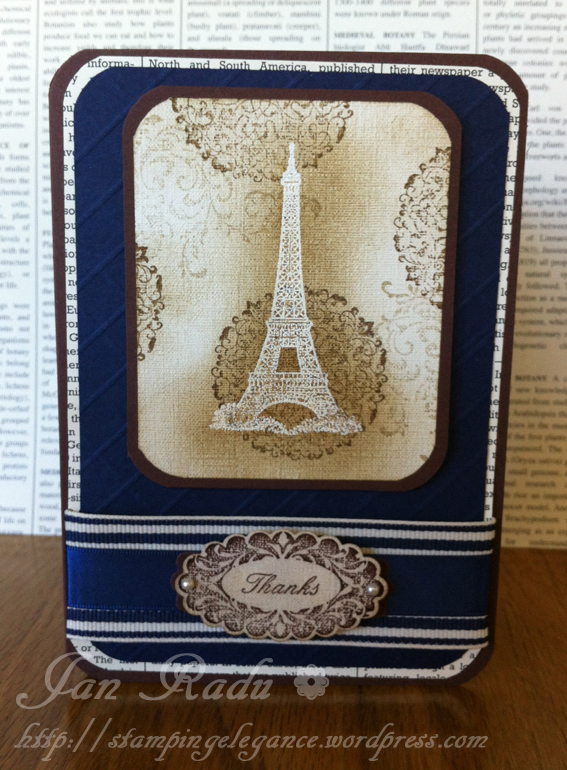 Val loves Paris, so I just had to use the Eiffel Tower image from Artistic Etchings. Ive used all the same techniques to make this card, but used a base of Night of Navy cardstock. 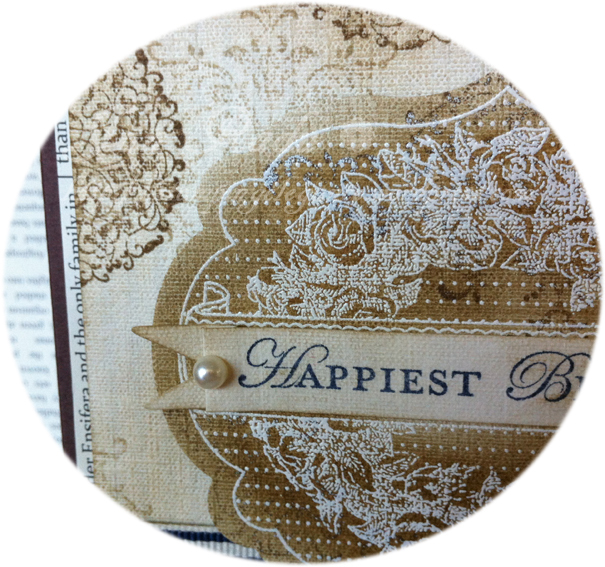 My sentiment is from Perfect Punches – I love how that stamp set matches the scallop oval punch perfectly! So if you don’t like vintage, you probably didn’t enjoy this post much! 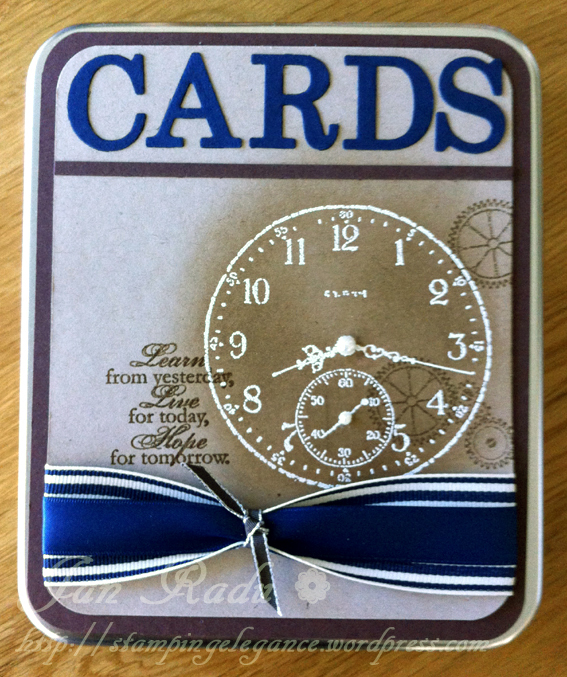 But if, like me you just adore this worn vintage look – I hope you liked! Thanks Alison, so nice to have you visit my blog!!! Hi Jan I love your vintage look…you do it so well. 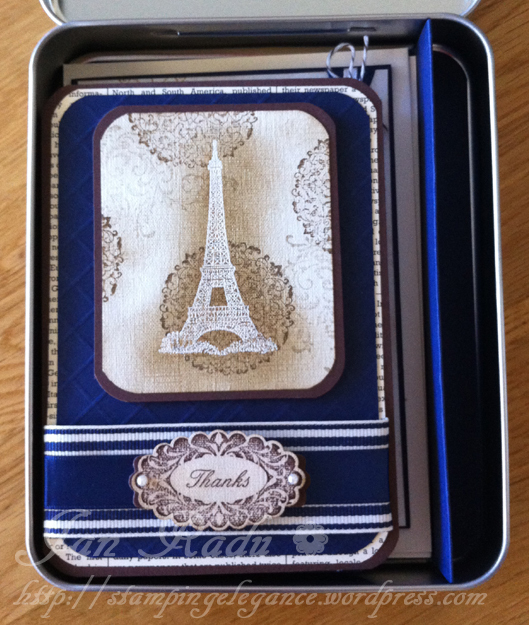 Your cards and gift tin is delightful.